Bottom pins may be solid or hollow. 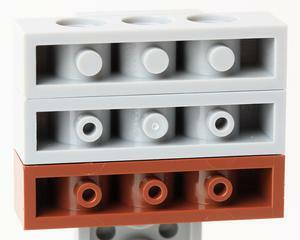 Click on a colored part below to see the Sets and MOCs that use part 3701 Technic Brick 1 x 4 [3 Holes] in that color. You can find an overview of all LEGO Colors here.